After a few more days in Seattle and some more great food we were headed to the Bay Area. Unfortunately Jo had to head back to TX to help Brittany find an apartment in Houston (she is going to be teaching 4th grade there in the fall). This kind of scuttled some of our Bay Area plans but I forged ahead. Before I leave the Seattle review a couple of recommendations for eating – the Potato Latkes (think hash brown pancakes) at the Steelhead Diner near Pike’s Place Market (they were so good Jo went back for a second order one day) and the “Little Doughnuts” at Lola which are really beignets. A box of those made the flight back to the ATX with her along with the spectacular rhubarb jam! My Bay Area music highlights paled compared to Seattle but leave things to do the next time. 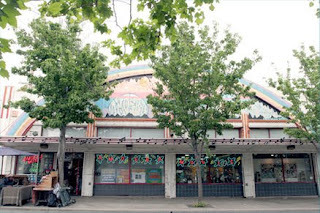 In a recent article in Paste they named Amoeba Records as the best indie record store in the country with Waterloo in second. So Thursday night after dinner with my old boss from the Trend Tech days in Round Rock I ventured out to Berkeley to see this Amoeba place. I agree it’s a huge store and the staff seems very knowledgeable and maybe the other locations are better than Waterloo but the Berkely location is no Waterloo. One of my favorite things about Waterloo other than the great selection, rare CD’s and IPod listening stations is that all music is alphabetical. You don’t have to know what genre they think an artist is to find them. Tift is a perfect example – is she rock, is she country. To me she is rock and roll but to Amoeba she is country so it’s a pain in the neck to find people. I love that about Waterloo – you know the artist you can find them! I did really enjoy the fact that Amoeba has recommended racks of new music that each have a little write-up from a staff member about the disc. I used this to buy 2 bands I had never heard of. 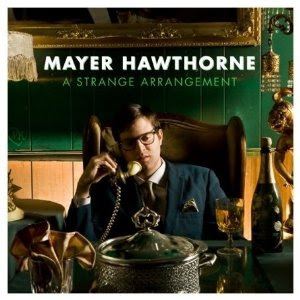 Mayer Hawthorne’s A Strange Arrangement – I had never heard of him. If you look at the CD you probably aren’t buying it as he looks like some kind of nerdy computer geek and maybe it’s some kind of electronica. So far from what you hear. How surprising to find out it’s really R&B and sounds like it was recorded in 1968. It brings back the sound of Dozier-Holland-Dozier with the rich sounds. It was a definite good addition to the collection and not my normal rock / Americana sound. The second CD I grabbed was The Soft Pack. A new group with a pop/rock mix it is a solid CD and I am still working on it. 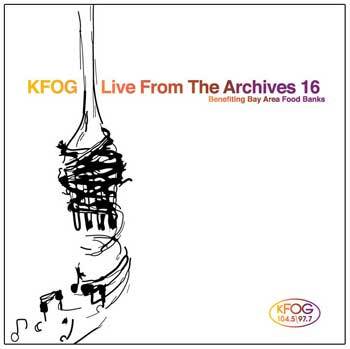 I also got a copy of KFOG Live from the Archives 16 from my friend while I was in the Bay Area. Similar to the KGSR Broadcasts CD this disc includes many bands I listed to but some new ones that are making me investigate them. I’m especially enjoying Susan Tedeschi’s “People” and David Gray’s “Fugitive”. I have been listening to David for a while and struggle because it seems like every song of his sounds the same but I always like the sound of individual songs. I think I’m going to have to jump out there and get a whole CD to really test it out. The compilation also includes Alejandro, Gomez, Chuck Prophet and a host of others. It’s a really good mix of artists and a good way to sample new artists. It’s why Austin loves the KGSR Broadcasts discs so much and donates all proceeds to the food bank which makes it even better. That was the end of the journey and I came home with a bag of new CD’s and a lot of new music to listen to. Even more new music is coming with all the Spring releases and in the last two weeks I have added new music from The Hold Steady, The New Pornographers, Courtyard Hounds, Alpha Rev and The National. Reviews to be coming in the next week or so as we wait on the mailman to deliver the new Tift CD by June 1. Hope everyone is enjoying all the great new music that is out there!